Homeownership has been demonstrated to have a positive association with increased educational achievement, civic participation, and health. Homeowners are more invested in engaging with their communities and can help ensure that Louisville is a prosperous city for all. Louisville currently ranks 7th in rates of homeownership. 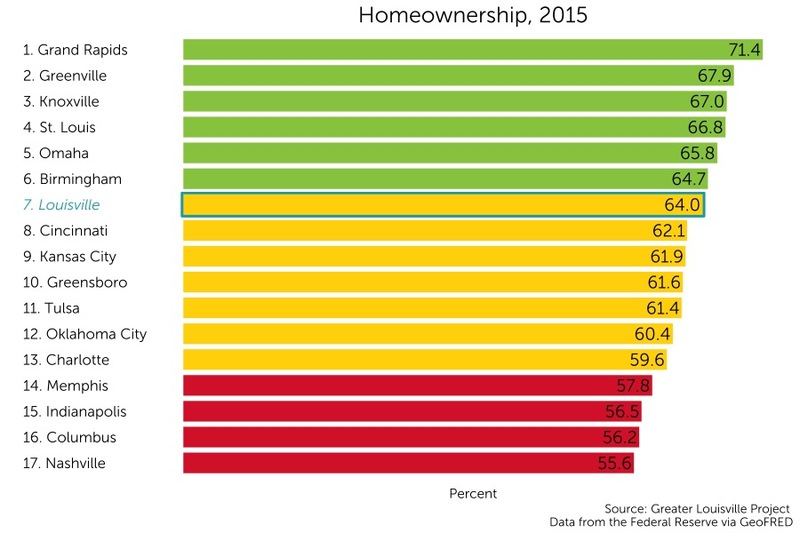 Home ownership is the percent of households that are owner-occupied. The rate of homeownership in Louisville has been decreasing steadily since 2009. 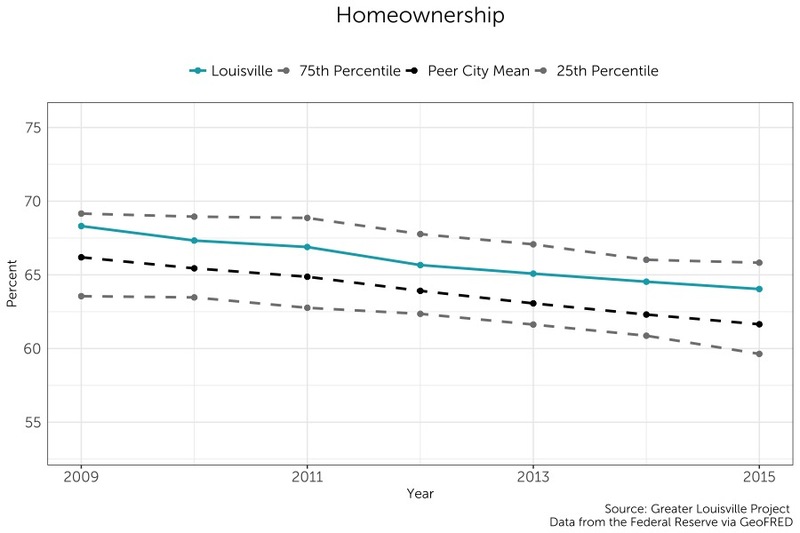 Despite this decline, Louisville’s rate of homeownership remains higher than its peer city average.